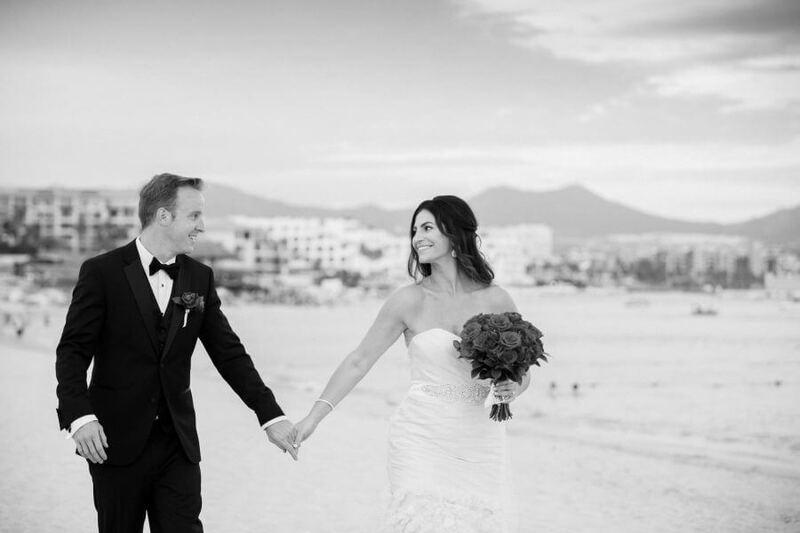 At Suzanne Morel Face and Body Care, we take great pride in helping our brides look and feel their very best for their wedding day in Los Cabos. 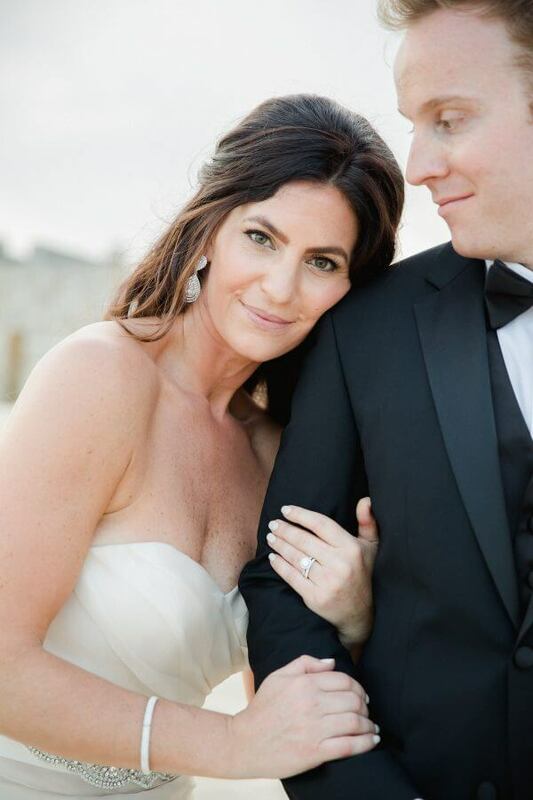 One of our recent brides, Valerie, was gracious enough to share her entire Suzanne Morel experience from start to finish. 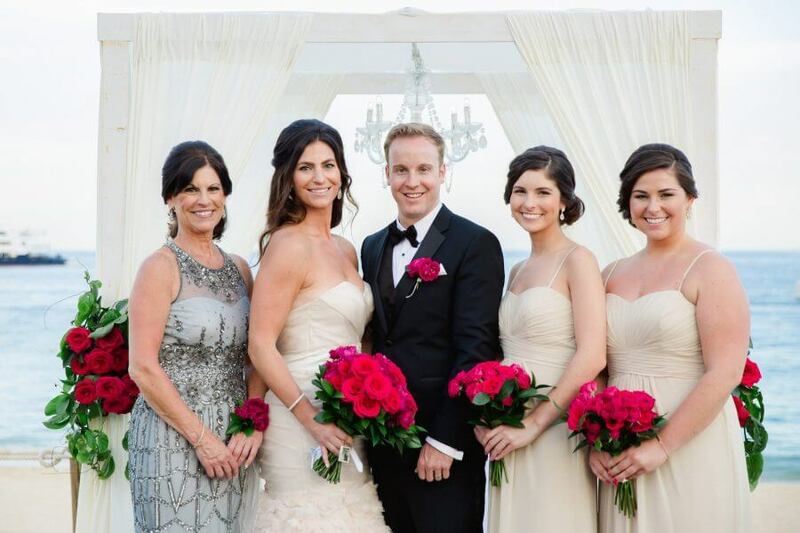 Thanks to Valerie, we are happy to present a bride’s perspective for you here on the blog! “For a multitude of reasons, I did not want the stress of trying to handle my own hair & makeup on the day of my wedding. I also wanted to my sure that my hair & makeup looked perfect for photos. I knew having a professional take care of my services would be a nice way to pamper myself the day of. I Googled hair & makeup companies in Cabo. I searched Style Me Pretty & Pinterest. I also asked for referrals from our planner and our venue. Suzanne Morel came up over and over again. I was considering 2 other salons as well. One I felt was not very responsive to my inquiries. The other, the owner of the salon was not available the day of my wedding and I did not want to book her assistant. After looking at many pictures of other brides and bridal parties on the Suzanne Morel website, as well as Pinterest, Style Me Pretty, and other real weddings I came across that were in Cabo, by far the photos that I identified with most in the style department were those done by Suzanne Morel Face and Body Care. I also appreciated the responsiveness I received when I reached out to the coordinators at Suzanne Morel. I would say my biggest concern was not having a trial that far in advance of the wedding date. I also was concerned about being able to communicate the style I was trying to achieve to my stylist. I was very nervous the day of my rehearsal, which also was the day I had my trial scheduled for. I think it all just became real that the next day was my wedding. I brought photos showing the look I was hoping to achieve. I was looking for a combination of a few different looks. The stylist worked her magic. We only needed to make one or two small adjustments until I thought it was perfect. I felt great about both my hair & makeup once I left the trial. I also loved the re-style that she did. I had zero concerns about my hair & makeup after the trial the night before. [On the day of the wedding] The team from Suzanne Morel arrived early in the morning. I let them into my suite to setup as my bridal party arrived for their services to begin. I, myself, chose to go to the gym to get a workout in to relax. When I came back things were in full swing with the 2 stylists working on my 4 bridesmaids, my mom, and my fiance’s mom. Things were going well. I showered and then my services started promptly after. We finished on time. Everyone looked perfect! Ladies, if you are still searching for the best hair and make-up artist for your wedding day in Los Cabos, please do not look any further. Take it from a bride who knows—our team is responsive, professional and we’ll make sure you look and feel incredible from start to finish! 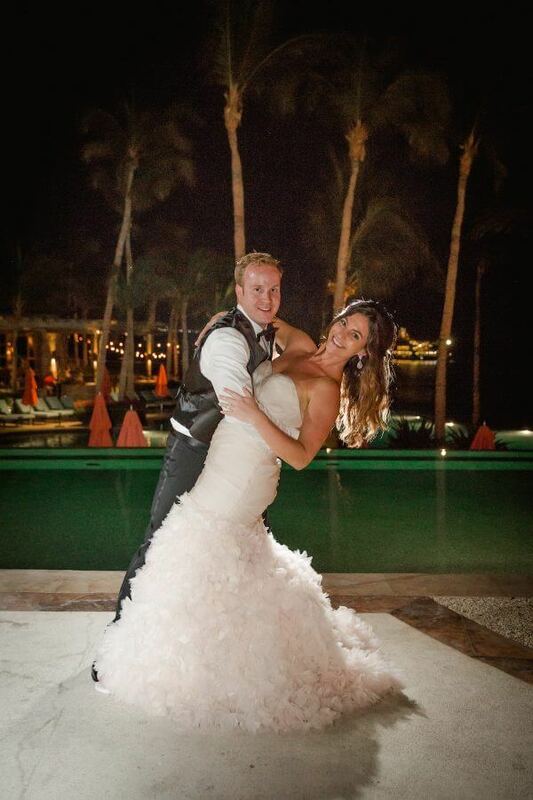 This entry was posted in Cabo Bridal Hair and Makeup and tagged best bridal hair and makeup artist in Cabo, bridal party hair and makeup in Cabo, Cabo bridal makeup, Cabo bridal salon, Cabo wedding makeup, destination wedding hair and makeup, find the best bridal hair and makeup in Cabo, happy with Suzanne Morel, professional hair and makeup services in Cabo, recommend Suzanne Morel, Suzanne Morel bride experience, Suzanne Morel makeup, Suzanne Morel responsive, Suzanne Morel Style Me Pretty, thank you Suzanne Morel, your Suzanne Morel experience.